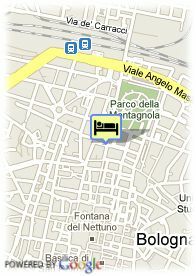 Via Independenza, 51, 40121 Bologna, Italy. 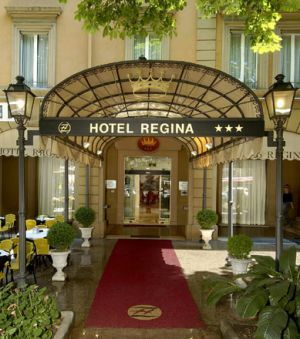 Zanhotel Regina is a classic building refurbished in 2003, located in a vantage point in the historical centre near Piazza VIII Agosto and just a few metres from Two Towers (Asinelli and Garisenda). It is easily reachable by any means of transport and only 250 mt. from the railway station. The hotel offers 61 bedrooms, which may be non-smoking or have parquet flooring and equipped with a mini-bar fridge, TV, phone, air conditioning. Bezahltes öffentliche Parkplätze in der Nähe des Hotels (überdachte) (20.00 €) (0.20 km).